Need some ideas for content on your social media channels? We got you covered! 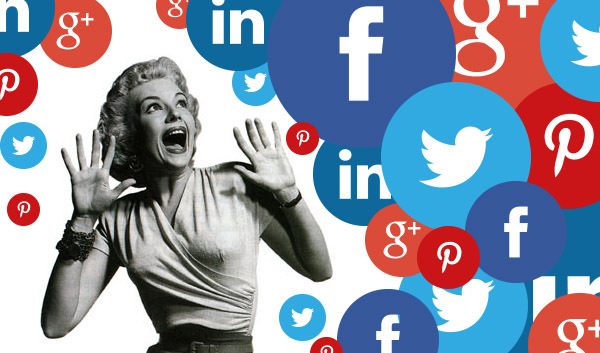 Overwhelmed by social media? No need to panic! Followers are simply looking for authenticity and engagement from you as a business. Image credit. More and more brands are posting curated, audience-specific content to reach their customers. When businesses truly “listen” to their audiences they find that followers are looking for an honest, trustworthy brand that is transparent about their values. Content that users find useful, informative and maybe even humorous is always the goal! Remember to not bombard your followers with content! It can be tempting to overload your channels with posts and images but simplicity really is key. Followers want to know if they can trust you, how you help those around you, and how well you know your industry. You are now on your way to more engaging content! Have great content that needs a boost? Check out this infographic on sharing content in a variety of ways. ← How Will Artificial Intelligence Affect My Business in 2018?